For more than 20 years, the standard of care for newly diagnosed patients with extensive stage small cell lung cancer (SCLC) has been the combination of platinum (cisplatin or carboplatin) and etoposide chemotherapy. Although this combination yields high response rates (60% to 65%), outcomes remain poor, with a median survival of around 10 months. 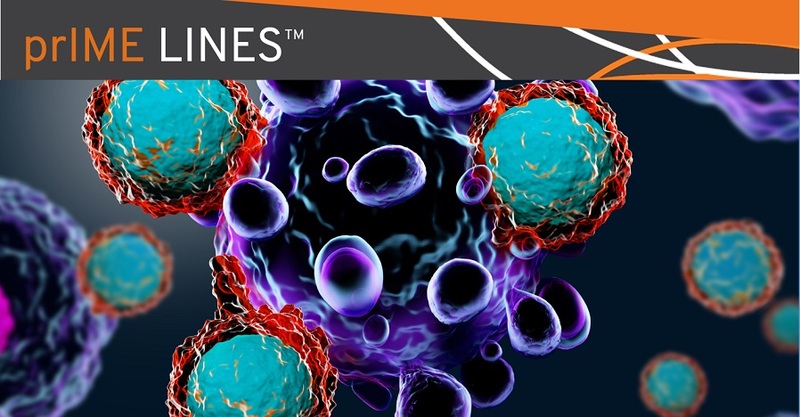 In patients with refractory or metastatic SCLC, the PD-1 inhibitor nivolumab showed durable responses, and received accelerated Food and Drug Administration (FDA) approval in the third-line setting. Use of immunotherapy in first-line therapy has not yet demonstrated improved efficacy thus far, but preclinical data indicate that adding a PD-L1 inhibitor to chemotherapy may be synergistic. During the Presidential Symposium at the 19th World Conference on Lung Cancer (WCLC), Stephen V. Liu, MD (Georgetown University, Washington, United States), presented initial results from the double blind, global phase I/III IMpower133 study, which evaluated the addition of the anti-PD-L1 antibody atezolizumab to carboplatin and etoposide for first-line treatment of patients with extensive stage SCLC. These results were simultaneously published in The New England Journal of Medicine. Patients (N = 403) were randomized to receive either four cycles of atezolizumab (1200 mg IV) plus carboplatin and etoposide (induction phase) followed by atezolizumab maintenance, or four cycles of placebo plus carboplatin and etoposide followed by placebo maintenance. At 13.9 months follow-up, the median overall survival (OS) was 12.3 months in patients receiving atezolizumab, compared to 10.3 months in patients receiving placebo (HR 0.70, P = .007). The 12-month OS was 51.7% with atezolizumab versus 38.2% with placebo. OS favored atezolizumab in all prespecified patient subgroups, with the exception of patients with brain metastases. However, the number of patients with brain metastases included in the study was small, and thus no conclusion can be drawn based on this finding. Interestingly, there was no difference in outcomes based on baseline tumor mutation burden (TMB). The median progression-free survival was 5.2 months with atezolizumab and 4.3 months with placebo (HR 0.77, P = .017). Addition of atezolizumab doubled the 12-month PFS rate from 5.4% to 12.6%. The safety profile of atezolizumab plus chemotherapy was manageable. Grade 3/4 adverse events (AEs) occurred in 67.2% of patients receiving atezolizumab plus chemotherapy, compared to 63.8% of patients receiving placebo and chemotherapy. Of note, administration of atezolizumab did not compromise the ability to deliver standard dose of carboplatin and etoposide. Serious AEs occurred at a similar frequency in the two treatment groups (37.4% vs 34.7%), though immune-related AEs were more common in patients receiving atezolizumab (39.9% vs 24.5%). Immune-related AEs were primarily of grade 1 and 2. The most common irAEs observed in patients receiving atezolizumab were rash and hypothyroidism. In her discussion of this study, Natasha Leighl, MD (Princess Margaret Cancer Center, Toronto, Ontario, Canada), said that atezolizumab plus carboplatin and etoposide should be considered a new standard of care for extensive stage SCLC, based on the hazard ratio of 0.70 and high unmet need in this malignancy. Future studies should focus on identifying biomarkers for response and evaluating immunotherapy combinations in earlier stages of disease. She concluded that SCLC is preventable and better tobacco control is needed for eradication of this disease. Engl J Med. 2018 Sept 25. [Epub ahead of print]. Presented at IASLC 19th World Conference on Lung Cancer; September 23-26; Toronto, Canada. Abstract PL02.07.